Heeft u een vraag voor Palm Oasis Boutique Hotel? 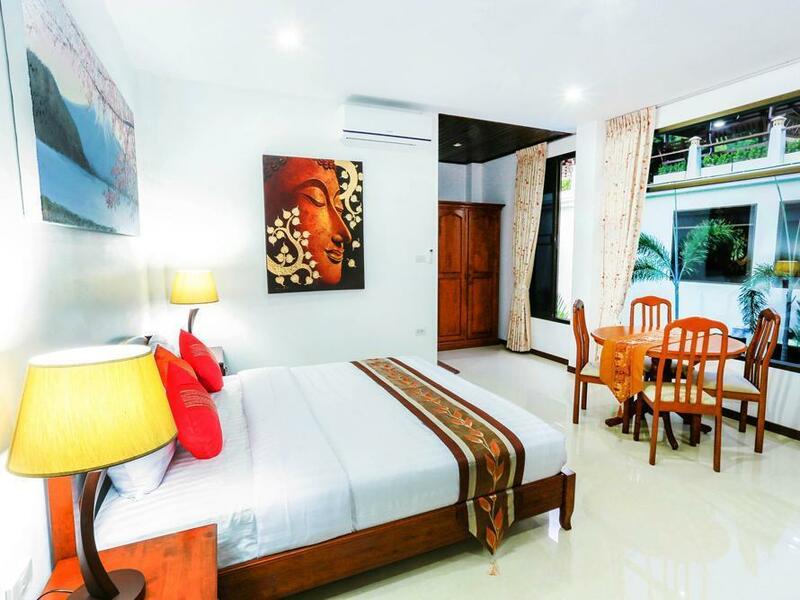 Gesitueerd in het gezellige Naiharn, geniet het Palm Oasis Boutique Hotel in Phuket een goede reputatie onder reizigers met een interesse in stranden, romantiek, familievermaak. Vanaf hier kunnen gasten genieten van eenvoudige toegang tot alles wat de levendige stad te bieden heeft. Dankzij de praktische locatie liggen alle belangrijke trekpleisters in de buurt van het hotel. De faciliteiten en diensten, geboden door het Palm Oasis Boutique Hotel, garanderen een plezierig verblijf voor gasten. Enkele voorbeelden van faciliteiten die dit hotel biedt zijn 24-uur roomservice, gratis wi-fi in alle kamers, 24-uur beveiliging, dagelijkse schoonmaak, taxi service. Alle accommodaties beschikken over doordachte voorzieningen om een ongeëvenaard gevoel van comfort te garanderen. U kunt de hele dag genieten van de ontspannen sfeer van de zwembad (buiten), massage, solarium, kinderspeeltuin, tuin. Met een ideale locatie en bijpassende faciliteiten, is het Palm Oasis Boutique Hotel voor veel gasten precies wat zij zoeken. Big spacious rooms kids had separate area.Provides shuttle to Nai Harn beach the most beautiful beach.Close to Rawai.Housekeeping great did a great job every day.They started construction for season so offered us an upgrade to a hotel on the beach provided vouchers, transfer and arranged everything for the move.We will be back great little courtyard for relaxing. We upgraded to a jacquzzi room as windows didn’t open in ‘deluxe Superior’ room, we were booked for 4 days and couldn’t bare to be in doors for that long. Adjoining room was far from sound proof, nocturnal activities of couple was awful. Breakfast a disgrace, cold cooked food, eggs 3 were offered 3 ways - were acceptable. Staff were helpful but premises shouldn’t expect what we paid, a disgrace. If we hadn’t paid up front via Agoda we wouldn’t have stayed. We stayed here for the jacuzzi suite. The water was disgusting and the heater wouldn't work. Our second day, the cleaning staff had drained it and we didn't have time to fill it before going to bed. The staff didn't care, just said sorry. Wouldn't refund the difference between a regular room and the jacuzzi room. The restaurant is over priced and the food isn't very good. Breakfast was included in our rate. The first day, I received hot breakfast and my boyfriend didn't. The second day neither of us received hot breakfast. There is a continental breakfast, but some consistency is nice. The staff are not friendly. We ate in the restaurant 3 times since everything is so far away. Not once did anyone ask how our meal is. They were too busy watching tv. Nothing is within walking distance. There is a free shuttle to the beach, but it cost us 200 baht for the 5 minute taxi drive from the beach back to the hotel. Everything is way overpriced. Not worth it. Wifi ok if sporadic, good tv channel, food was ok but expensive for what it was. Staff very nice, lovely pool, rooms are spacious, beds were nice, shower was very good although was showing signs of repairs, handy bus to the beach provided free of charge, a little far to try and walk there. Like many places in Thailand that sports photos of a beautiful pool, this one had a pool that could not be used. The beautiful pool was the primary feature in selecting this place, so it was very disappointing. However, the rooms are very nice. It is in a very isolated location which is what we wanted, so that was good too. The staff was very friendly. very quiet in a private area where you can be away and feel the real vacation. we have had a wonderful stay. staffs are nice and very helpful. 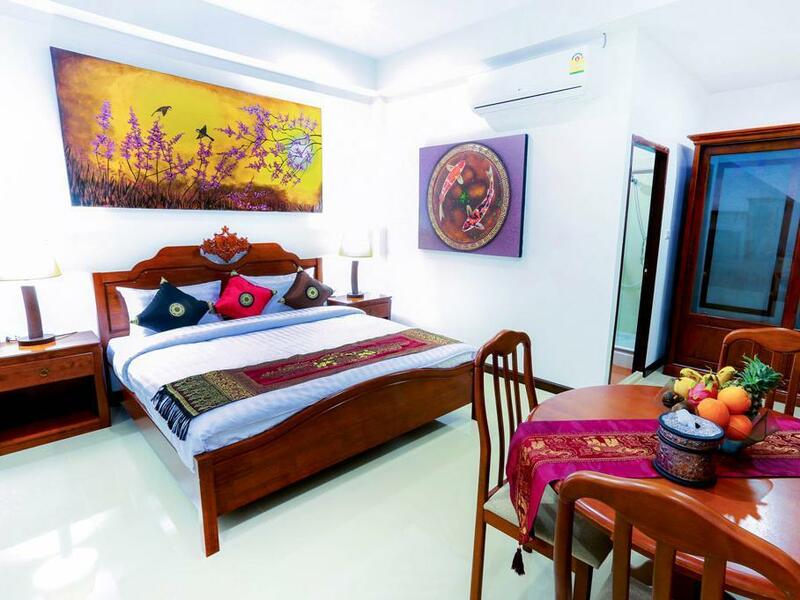 Peaceful location, very friendly staff, very clean and well kept. Slight issue with wifi but wasn't a big deal. 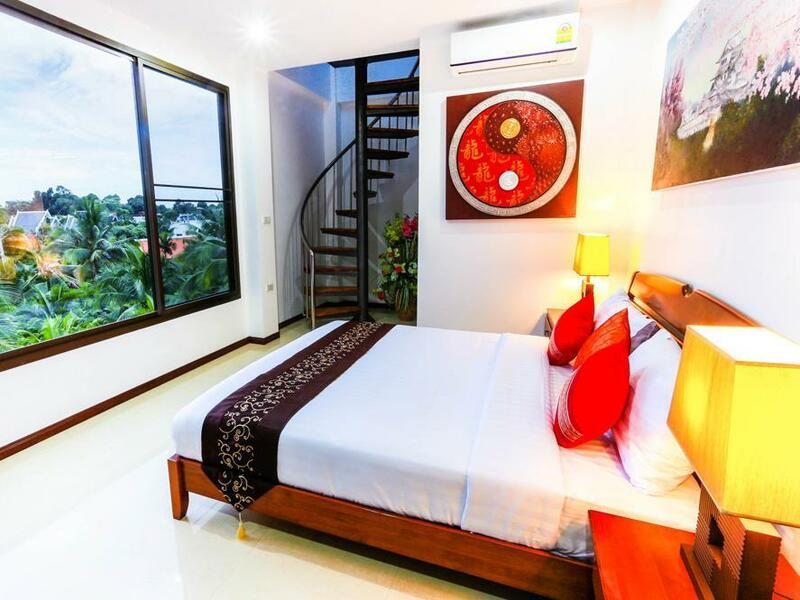 Everything good , perfect room with chilling pool but you should rent motorcycle or car because difficult to walk to the beach. Frenly n helpful staffs and provided fruits in rooms. We rented 3 units including one with rooftop. Called for room service for our dinner but not many choices. No massage service at hotel but they called in service for us. We enjoyed much. The best thing about the hotel is the upper level of the room. Lovely terrace with jacuzzi! We stayed at Palm Oasis during our trip in Phuket. 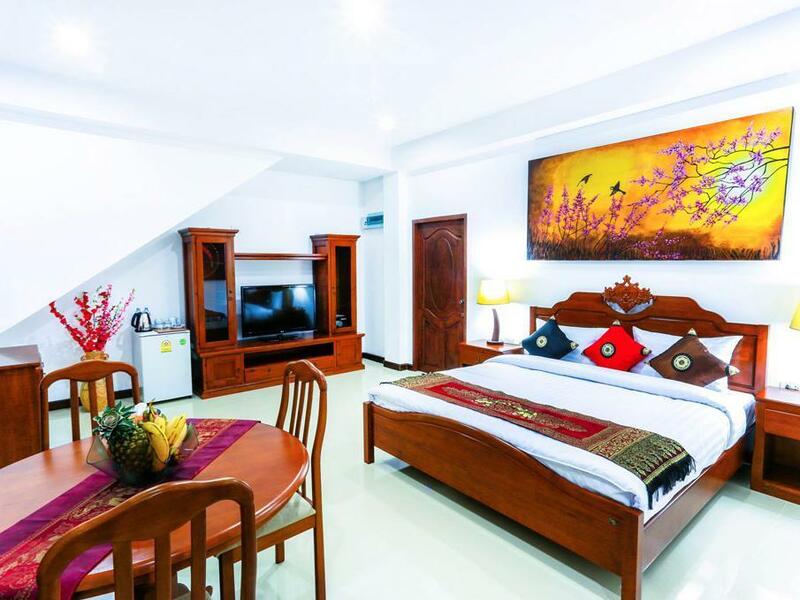 The hotel is perfectly located near Nai Harn beach, a very beautiful place to stay. Rooms are clean, and very beautiful, and the kindness of the staff is really what makes the difference. I strongly recommend you to come to Palm Oasis ! The hotel is builded at the hill, the trail to go up the hill is unfinished (full of rock n concrete either go with the car or by foot is really uncomfortable.Also the location is far from anywhere, hotel shuttle bus off at 6pm,For going out its better to rent a motorcycle but considering the the broken path I felt dangerous to drive with moto. I would not recommend this hotel to stay. Good overall, but I wish the pool was working in the evening. One might still like to swim after 6 pm, especially with the children or after you got back from a day in the jungle. Good staff, good location, breakfast is sufficient.